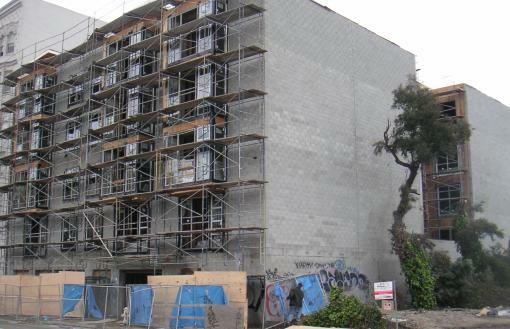 Despite the fact that it’s not currently advertised on their website, the Vanguard development in Hayes Valley (800 block of Turk) should be finished within the next six months (according to insiders). Additional insider details: 28 units in total with 2 bedroom units averaging ~1200 sq.ft. and offering 2 car parking.